There is an exchange in Hanif Kureishi’s screenplay for the film My Beautiful Laundrette where one of the South Asian characters discusses his nephew’s new business venture (the laundrette of the title) and mentions that ‘He’s hired someone else to do the work’. Another Asian character sarcastically replies: ‘Typically English if I can say that’. And, in fact, the NHS is only ‘typically English’ (or British) in that sense. The UK, over the past seven decades, has got someone else to do the work of providing care for the most vulnerable sections of society by relying on its imperial links and the labour of migrant healthcare workers. 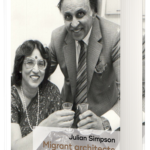 In my new book Migrant architects of the NHS: South Asian doctors and the reinvention of British general practice (1940s-1980s), I draw on 40 interviews with the first generation of South Asian GPs to work in the NHS and a range of archival material to show how migrant doctors who became GPs were at the heart of delivering what the NHS was set up to do. 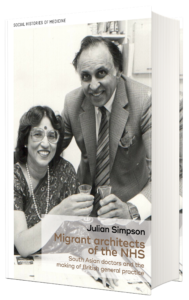 I chose the title ‘Migrant architects of the NHS’ deliberately to emphasise that migrants were doing more than just providing additional labour and filling gaps in the workforce. It was also a way of challenging traditional narratives that portray figures such as the Labour Minister Aneurin Bevan and William Beveridge, author of the Beveridge report, as ‘architects of the NHS’. The architects of an institution are also those who served to make it a reality on a day-to-day basis. Two core characteristics of the NHS were that it was set up to ensure access to treatment for the poorest sections of society and structured around general practice where most care was delivered. 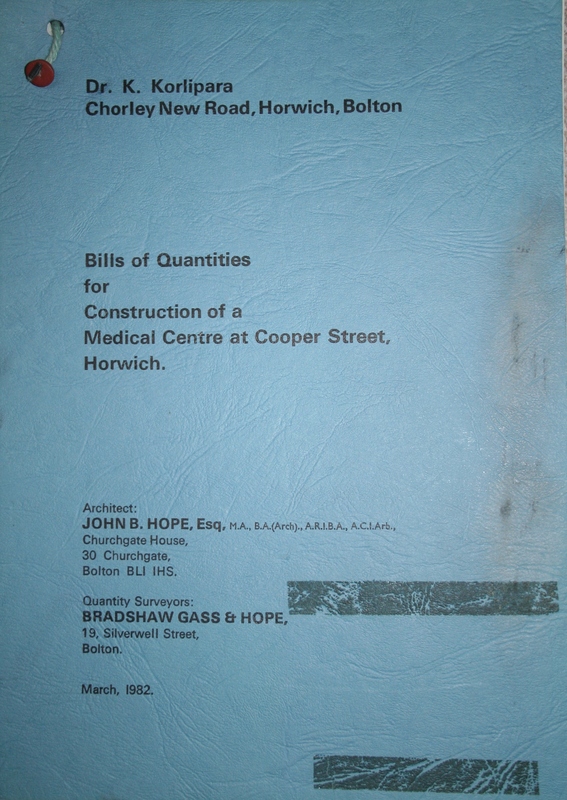 Migrant architects shows that Britain was only able to have this kind of healthcare system because it could draw on the labour of migrant South Asian doctors. The British Empire in India only formally came to an end in 1947 and the NHS was launched the following year. But the close connection between these two stories has remained largely hidden from history. South Asian medicine was profoundly shaped by the British Empire and remained under the influence of the former colonial power after independence. Vast numbers of young doctors left India, Pakistan, Bangladesh and Sri Lanka to go and work in the NHS with the aim of training as specialists. They initially took up junior posts in hospitals and helped to underpin the British hospital system. By then settling in Britain and becoming family doctors, thousands of these medical graduates helped prevent a GP recruitment crisis. Professional discrimination meant their career options were limited. General practice in industrial areas and inner-cities offered them a professional lifeline. For millions of people, particularly in working-class communities across Britain, accessing care meant going to see a GP from the Indian subcontinent – by the 1980s around one GP in six in England and Wales was South Asian. South Asian doctors were mostly concentrated in inner-cities and industrial areas like the South Wales Valleys. In some parts of England, such as Walsall in the Midlands or Barking and Havering in Greater London, more than half of GPs were South Asian. Doctors from the Indian sub-continent were not just contributing to the NHS, they were its very lifeblood. They kept general practice going – particularly in the working-class areas where the need for care was greatest. They were at the heart of developments in general practice which came to be seen as the ‘cornerstone’ of the National Health Service. South Asian doctors have also historically been over-represented in fields like mental health and care for the elderly. In other words, everywhere where the core work of the NHS is done, caring for the least affluent and most vulnerable sections of society, staff from overseas have played a key part in delivering services. As we mark the 70th anniversary of the NHS it is important to acknowledge migrants were amongst its architects. Not least because if the institution is to continue to function and make care accessible to millions of people in Britain, those running it will need to reflect on how best to attract and deploy the migrant workers who have always underpinned it. My work has mainly focused on doctors, but migrant nurses often took on specific roles too and future histories of other migrant workers in the NHS might well bring to the fore other aspects of this history we are currently unaware of. Historians have a key role to play in informing policy by exploring the myriad ways in which that which seems ‘typically British’ is in fact the product of imperial legacies and population movement. We need to understand this past if we are to plan for the next 70 years of the NHS. More generally, public debate in the UK would benefit from greater engagement with histories of the interaction of migrants with the mainstream of British society and more awareness of how the imperial past has shaped the present. This would help reclaim Britishness as a complex and fundamentally cosmopolitan notion. The official launch of Migrant architects of the NHS and of an exhibition based on Julian M. Simpson’s research takes place on April 25, 2018 at the Royal College of GPs in London. 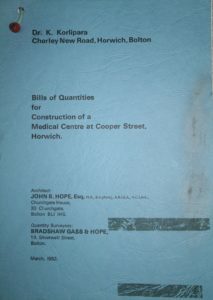 Migrant architects of the NHS is available now. Read a sample chapter here. 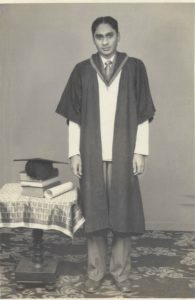 Category: Blog, History, Medicine, Social History	0 Comments.